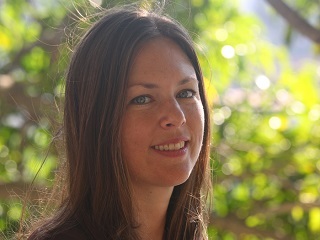 Solana Pyne, currently a senior video producer with GlobalPost, starts April 6. Maybe it’s just us. But we take extra delight in the fact that the initials of the person who will soon be reporting to Xana Antunes at Quartz as head of video are S.P. Not so long ago – OK, analog eons ago – we would always try to record our favorite TV shows in the VHS Standard Play (SP) mode rather than Long Play (LP) or Extended Play (EP). Remember those days? I’m thrilled to announce Solana Pyne is joining us as senior producer of our nascent video team, starting April 6 in our New York offices. Solana will help lead our exploration of what video should be for Quartz, and how we can integrate boldly creative, smart video into our storytelling. She’s the first of several journalists to join us now for this effort. She is a deeply talented journalist, who pairs a strong visual sensibility with a commitment to innovative storytelling. Solana has worked at just about every stage of the video production process, reporting and creating web video and multimedia stories from all over the world starting about a decade ago when editors still needed to be convinced such things were worth doing. Solana joins us from GlobalPost, where she was most recently head of their global video operation. Her video, print and multimedia stories have won dozens of awards, including a Peabody, a Polk, two Edward R. Murrows, and an RFK along with awards from the National Press Club, SABEW and the Overseas Press Club. Solana holds a master’s in science journalism, a bachelor’s degree in biology, and a bachelor of arts in literature, all from the University of California (Santa Cruz and San Diego.) After freelancing as a science and health writer, she headed to Phnom Penh to work for The Cambodia Daily and write about government corruption, illegal logging and mismanagement of international aid. She first shot video professionally, during a stint at NY1. Hooked, a camera became an indispensable tool on her subsequent postings to North Africa and Brazil, and on assignments in South Asia, Japan and Zimbabwe. Journalistic highlights include the first release of footage shot moments after rebels captured Muammar Gaddafi, along with field reporting on climate change in the Amazon and mass migration to the world’s fastest growing mega city. Solana speaks Spanish and Portuguese. You can follow her at @solanapyne.